AOM was recommended to me by an artist I respect. I look forward to seeing what the site can do for me and my career as an artist. 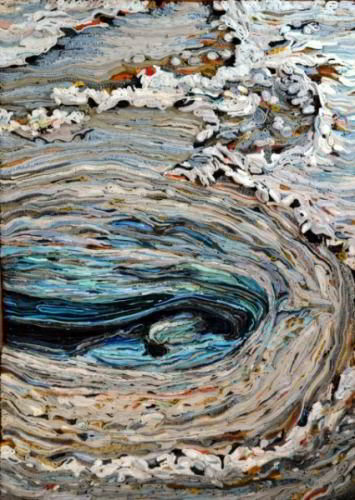 Hot Yellowstone #2, 2013, mixed media, fibers using discarded textiles and clothing, 36 x 26 x 3 in.